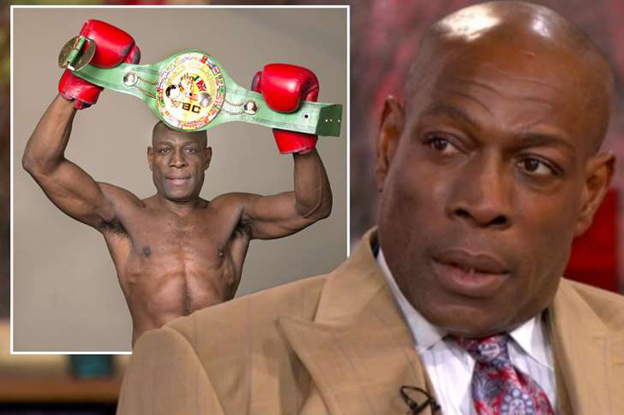 Boxing fans have expressed their worry and fear over Frank Bruno 's recent TV appearance - where the former champ announced his return to the ring. The former heavyweight champion - who was diagnosed with bipolar disorder in 2003 - appeared on This Morning and revealed the news that at 54 he is making a comeback . But the news wasn't met with a welcome response as presenter Phillip Schofield immediately asked: "Is that a good idea?" Frank said: "I haven't got a choice. I train everyday. I get so called boxing promoters saying that Anthony Joshua can knock me out in two rounds. I'm not even dead." He opened up about his worries over the medication he had been taking saying the solution shouldn't be drugs: "Now they're just filling up people with drugs and making them like zombies, like the Michael Jackson video coming out of the grave, it's wrong what they're doing. "They're the biggest drug dealers in the world are the government and it's crooked." 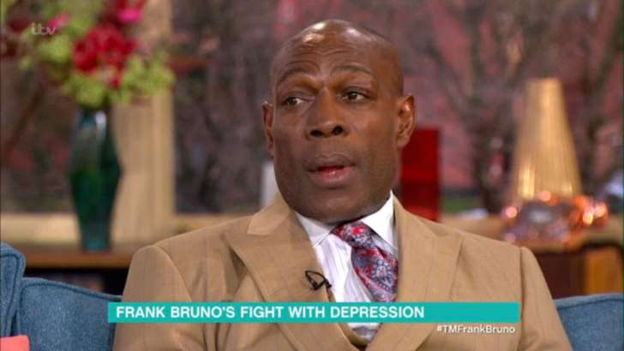 Viewers reacted with worry with one questioning Bruno's mental state: "I respect all people living with depression but fear for #Frankbruno & his mental health after watching that. #mentalhealth"
Another said: "Frank Bruno is 54 and he certainly should not be going back in the ring but I fear if someone can make money out of it they will exploit it." 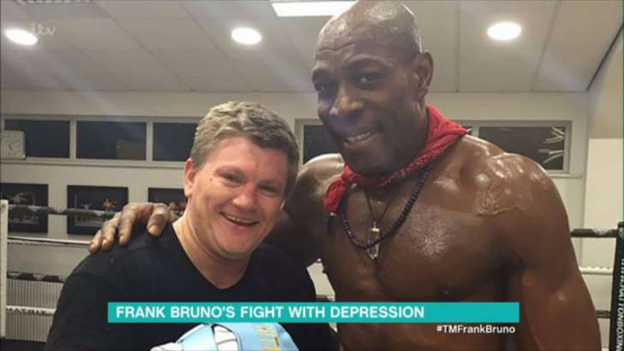 One viewer questioned whether the sportsman should have been on television at all: "Don't think Frank Bruno was well enough to be interviewed on This Morning he looked a bit manic #thismorning #bipolardisorder"
"Frank Bruno announces he’s going back in to boxing and that everyone should stop their depression meds. But nobody questions if he’s ok," said another worried fan. The boxing legend has openly spoken about his struggle with the illness having a relapse as recent as November last year . Admitting to Holly and Phil that the medication he was on "made me suicidal', he explained the only way to help control his mood was to head to the gym everyday. "I have so much energy. I've been in the gym all the time that's why I want to come back into boxing." He slammed the government and NHS for the aftercare he received after leaving hospital telling Holly and Phil: "The aftercare was rubbish. If they're treating me like that what about the other people they're treating." In the past Frank has spoken about meeting with the prime minister to discuss issues surrounding mental healthcare.